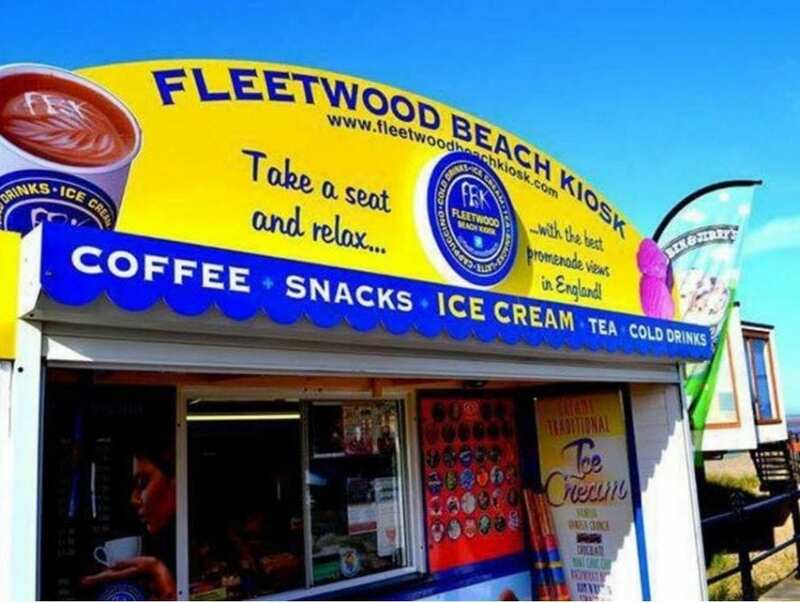 Well done to Fleetwood Beach Kiosk! 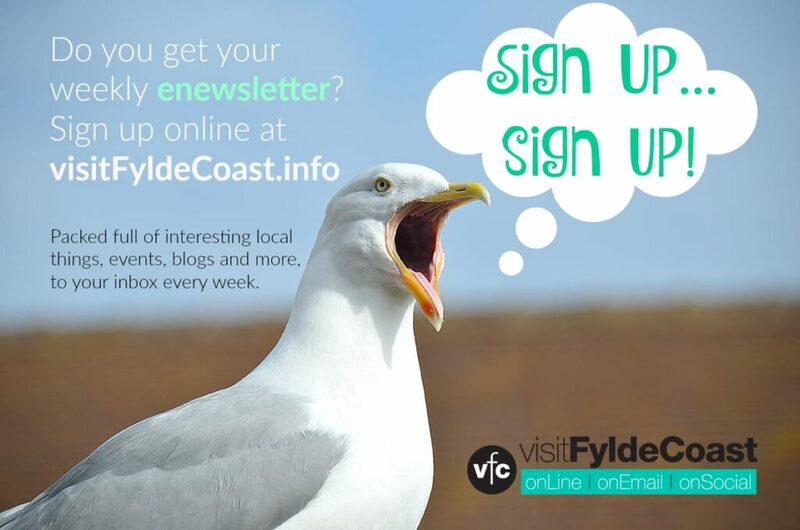 Well done to Craig and all of you who voted in this national competition – fantastic news and great for Fleetwood too! 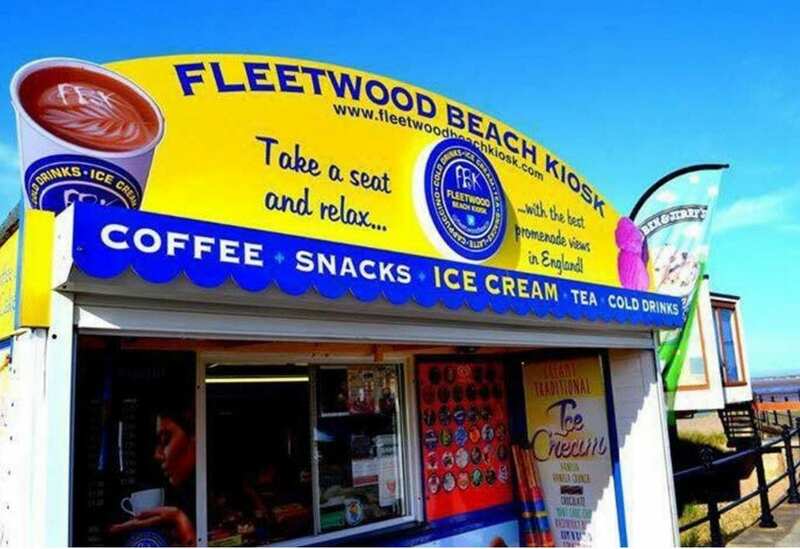 Fleetwood Beach Kiosk is one of 3 finalists in a UK competition – give them your vote! 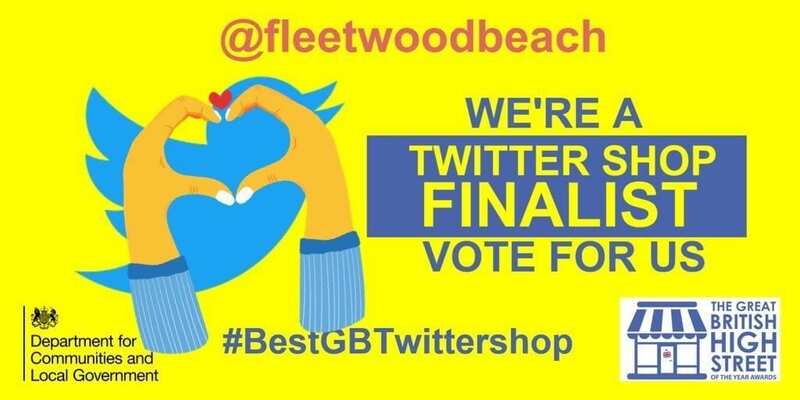 Fleetwood Beach Kiosk, wants your vote as it’s been shortlisted as one of three UK businesses in the running for the title of ‘Best GB Twitter Shop’. 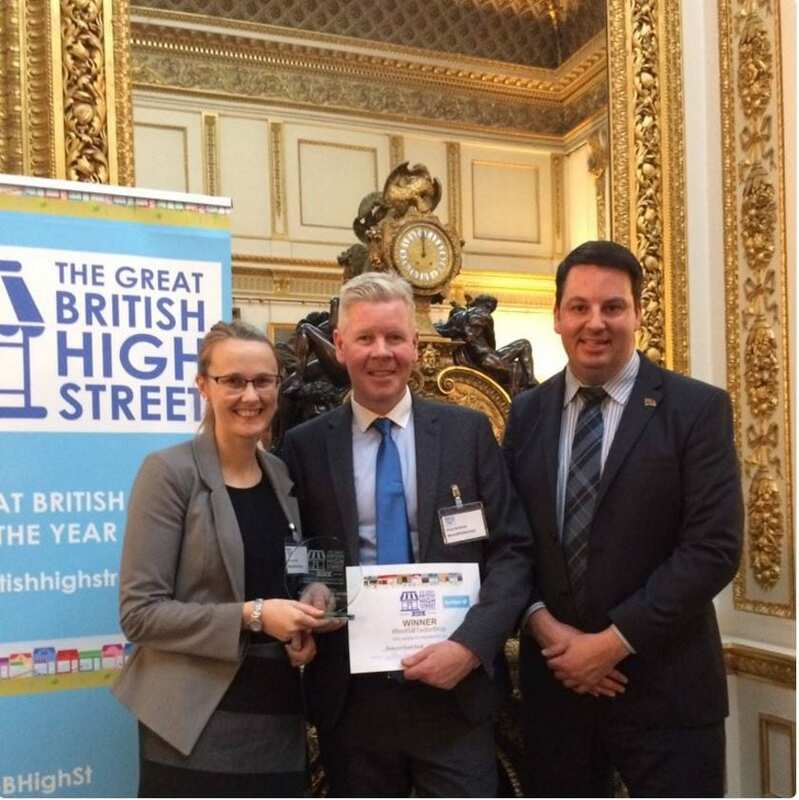 Britain’s best independent shops have been revealed by being shortlisted in the third annual Great British High Street competition. 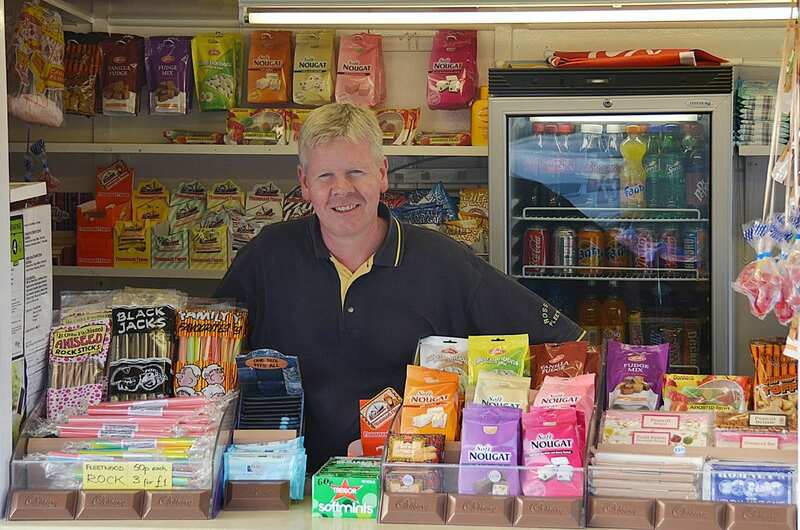 Fleetwood Beach Kiosk has been named alongside Heart Gallery in Hebden Bridge and The Artery in Banbury in the digital category as one of the top three most social media savvy independent shops. Twitter is backing the category in order to find independent shops that are using social media to drive footfall to their local high street and support their local community. 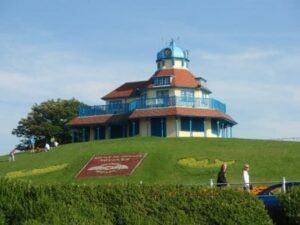 Now, to crown the champion, a public vote is running until 18 November and @FleetwoodBeach wants your vote! The Great British High Street Competition 2016 celebrates the great work that is being done to revive, adapt and diversify the nation’s high streets.  The category winner will receive £1000 worth of advertising credit, as well as a trip to Twitter UK’s London Office to further boost their digital skills. Voting closes on the 18th of November. The Great British High Street competition is run by the Department for Communities and Local Government and sponsored by British Land, the Post Office, Holland and Barratt, Boots UK, Google UK, Marks & Spencer, Wilko, the British Council of Shopping Centres and Ellandi. 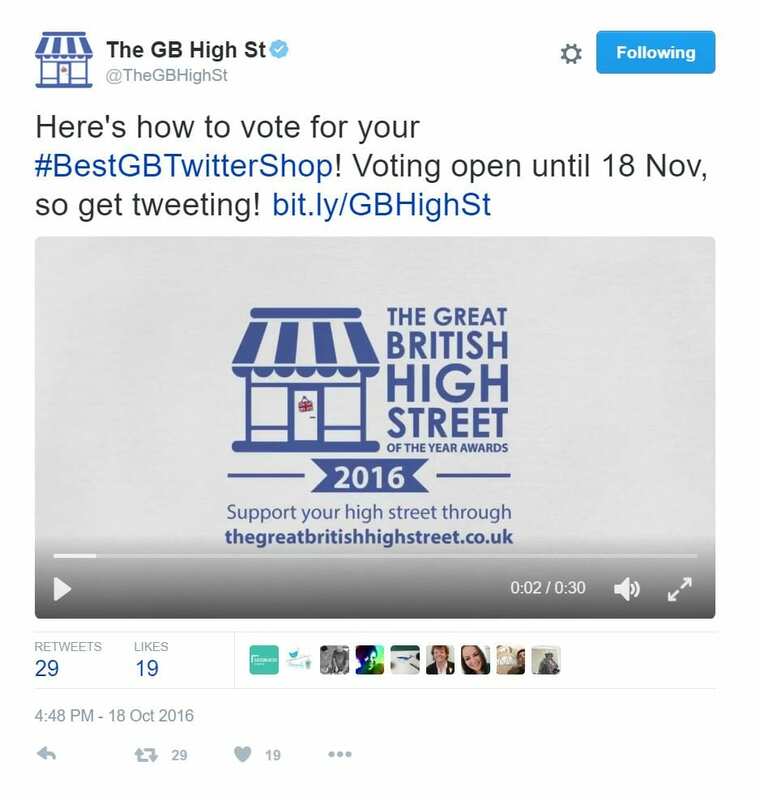 Twitter UK, in conjunction with the Department for Communities and Local Government, has reviewed the feeds of the entrants for the ‘Best shop on Twitter’ category to determine whether they are using the platform innovatively to support local high streets. The top three independent shops have been shortlisted to go through to the public vote.